I'm a VC @ Commerce Ventures, a firm based in SF and focused on the intersection of mobile, payments and retail. I'm a Wharton MBA graduate. Prior to Wharton I worked at Viola Private Equity, Israel's largest technological growth equity fund. I served 5 years as a team-leader and officer in an elite intelligence unit in the Israeli Defense Forces. Investing in companies which help digitize the physical retail, merchant and commerce eco-systems. Typically invest up to $500k in companies at the intersection of mobile, payments, digital advertising and retail. Led launch of two new display advertising products - Affinity Segments and In-Markets, resulting in additional revenues of $50M. Interest Categories - developed new features portfolio, and led coordination between clients and global engineering, procurement, and new product development, resulting in a 15% increase in customer base. Worked closely with the Software and Technology investment team, performing research and analysis of multiple potential targets in the Business Intelligence sector, two of which were presented to the investment committee, one was approved - Logi Analytics. Due diligence: Creating valuation models for private & public companies. Analyzing market size, competitors, product differentiation, management, competitive and technological edge, and synthesizing into SWOT analysis Portfolio companies: Leading multiple initiatives with portfolio companies to increase growth and performance – thus increasing Viola portfolio’s company worth. Select transaction experience: $1B take-private of Clal, the largest tech and industrial holding company in Israel. $80M LBO of Matomy Media, performance online advertising solutions (closed July 2010). Led research team to integrate intelligence research, R&D, and Special Forces units into national security missions Managed projects and led a cross-functional team of electrical engineers and intelligence research. Teaching Assistant to Prof. Brian J. Bushee – An Introduction to Financial Accounting. 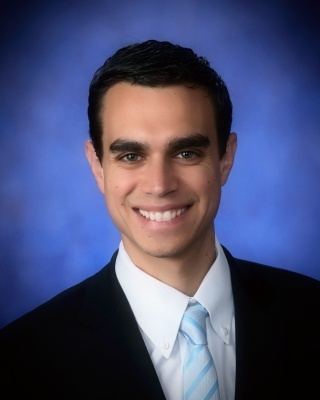 Teaching Assistant to Prof. David Wessels – Venture Capital & Finance of Innovation. Elected President of the Scotch & Whiskey Club with over 400 members. Led 100 student to Warsaw School of Economics. Member of the of the university swim team.